SALT LAKE CITY May 24, 2016 — The Mortgage and Financial Fraud Unit of the Utah Attorney General’s Office (OAG) announced today the sentencing of Lori Ann Anderson, 54, of Logan, Utah, to consecutive terms of imprisonment by Judge Thomas Willmore of the First District Court in Logan. Anderson, who in 1992 spent time in prison for defrauding insurance-policy holders of $140,000, had previously pleaded guilty to two counts of Securities Fraud and one count of Pattern of Unlawful Activity, all Second Degree Felonies, on January 23, 2016. 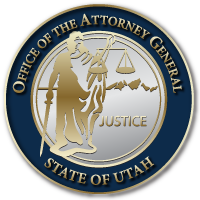 The sentencing is the culmination of a joint investigation with the Federal Bureau of Investigation, the Utah Division of Securities of the Utah Department of Commerce and prosecution by the OAG. The investigation discovered that 46 people had lost over $1.7 million as a result of Anderson’s actions. More than ten victims, some in tears, addressed the court at the sentencing hearing, expressing betrayal at Anderson’s deceit. Anderson will serve a total of two to 30 years in prison, depending on the recommendations of the Board of Pardon and Paroles. Anderson had formed a trading club named S.M.T.S. that allowed her to pool the money of friends who invested with her for day trading in Apple stock. Anderson represented to her investors that she made returns of around 10% a year and never had a losing day trading. The investigation discovered that Anderson had actually lost $300,000 trading between 2013 and 2015. Despite these losses, Anderson continued to mislead investors, sending them false account statements that purported to show gains. A search warrant for Anderson’s home was obtained in July 2015. During the search Anderson admitted to lying to investors, telling them she was making money when she was in fact losing. She also admitted to showing investors false earnings on a program she had purchased for her computer. By the time of the search warrant Anderson claimed she only had around $40,000 of the original $1.7 million in investor funds remaining. This entry was posted in Archived Posts, Recent Posts and tagged Federal Bureau of Investigation, Lori Anderson, Utah Division of Securities on June 20, 2018 .